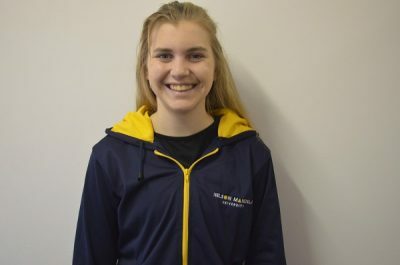 The Madibaz squash team produced one of their best performances at the University Sport South Africa tournament to claim the silver medal in Port Elizabeth last week. The annual event was held at Nelson Mandela University and the local team reached the final, in which they came up against University of Johannesburg. In a tight contest, they went down 4-2, but coach Jason le Roux said they were pleased at putting up such a competitive performance. “We were unbeaten in the team event until going down to UJ, who won the title for the seventh time in a row,” said Le Roux. “I feel it was a very good week for the team and we competed really well in the final. “In fact, we were 2-2 in matches and our No 2 Brendan Basset was 10-8 up in each of the first two games of his match. The Madibaz mentor said the final was competitive until the last encounter. The week consisted of an individual tournament, followed by the team event. Le Roux said the Madibaz players held their own in the individual competition, with John Kuhn ending fifth and Hayley Ward finishing third. “Players and organisers said this was one of the strongest individual competitions they had seen in more than a decade. Madibaz players were recognised for their efforts at the end of the week. Ward was named the most promising player, and No 2 player Bianca Brown was included in the USSA best of the rest team in her position. This team excludes players from the tournament champions. Furthermore, Kuhn and Ward were included in the USSA squad to play in the World University Championships in September. However, Le Roux said there were still some play-offs to take place before the national squad was finalised. Madibaz Squash manager Melissa Awu praised the players for their efforts in keeping the Mandela University flag flying high. “It was amazing to see our players doing so well, with Hayley Ward and John Kuhn standing out,” she said. Awu said they would keep working to ensure their preparations remained on track for next year.